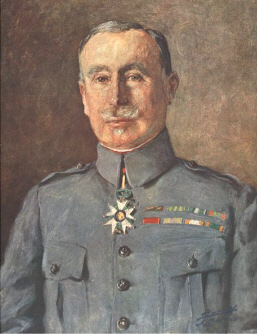 From his promotion to command of the French Army in December 1916, Robert Nivelle had been planning for an attack of "brutality and violence" along a 50-mile stretch of the front in the Reims and Chemin des Dames area, which he was adamant would break through the German lines and bring about an end to the war. His excellent English, manners and air of confidence made him an immediate favourite with British Prime Minster Lloyd George, who was captivated by the man, in preference to the dour Haig, whom he did not trust. Lloyd George even wanted to put Nivelle in charge of Haig and the British Army. Haig did not trust Nivelle, and this idea was not carried through! Nivelle designed his onslaught to commence on April 16th. His planning security was appalling. 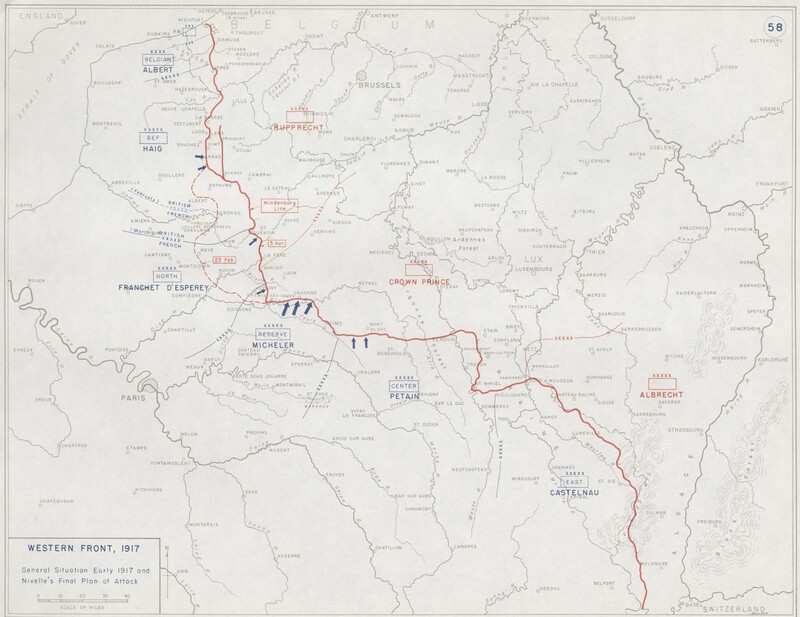 The Germans learnt of it long before April, and in any case, from February, were withdrawing to the Hindenburg line, which effectively removed some of the area against which Nivelle wished to launch his attack. Nivelle refused the advice of his three generals in charge of the attacking armies to alter the overall plan or, at the very least, to take cognizance of the necessary changes they deemed necessary. 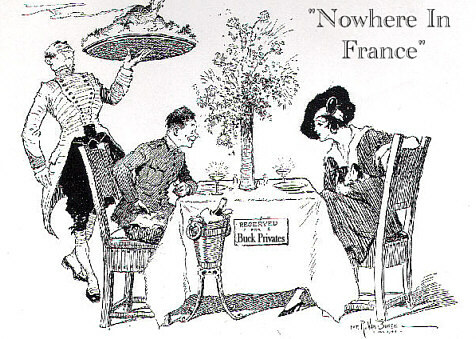 This extending disagreement reached into the French war cabinet and to the president of France. Called back to Paris by the politicians for yet another cross examination, Nivelle threatened to resign only a few days before the start of the offensive -- if they didn't trust him -- and suddenly the politicians realised they couldn't let him resign, since such a situation would ruin the morale of the nation. With heavy hearts they agreed to let the offensive start; Nivelle for his part agreed to stop it if it was seen to be unsuccessful after 48 hours. This was obviously not possible but the politicians had to accept. Not knowing these continuing French politics at the highest level, Haig agreed to unleash his four division Canadian offensive against Vimy Ridge at Easter in support of the (floundering) Nivelle plan and as a diversion for the French offensive due to begin the next week round Reims. This successful Vimy attack was a preliminary to the Battle of Arras commencing a week later and starting on the same day as the Nivelle Offensive. Want to Visit the Battlefields? 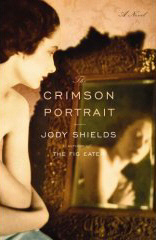 Jody Shields's second novel is a poetic tapestry woven on the loom of the First World War in England. She weaves the story of Catherine, the fictional English widow of an officer killed early on the Somme, with two actual figures-- Anna Coleman Ladd, an American artist, and Varaztad Kazanjian, an Armenian dentist who is sometimes called the "Father" of modern plastic surgery. The fictional connector of these three people is the surgeon Dr. McCleary. The scene is set on Catherine's estate-turned-hospital in the quiet English countryside. Catherine's state of magical thinking colors every move she makes as she watches the house denuded of mirrors and any other reflective surfaces. She watches silently as heirlooms are moved helter-skelter and home becomes hospital. Because of the remote area, the estate houses those men whose facial injuries are so disfiguring and traumatic that they require special treatment, both physical and mental. The estate becomes a battlefield in another kind of war to return these men to their lives and repair the damage to their faces and souls. Never is that necessity for isolation more evident than in the reaction of the local villagers to the unauthorized visit of two patients looking for the pub. This event became the reason to create masks for the most sorely injured in order to ease them back into society. Enter Julian, a soldier suffering from a severe facial wound, who becomes the primary subject of the experiment for the artist and the doctors. Unable to repair the awful damage to his face, Drs. McCleary and Kazanjian prevail upon Anna to create a mask to conceal that which is irreparable. The mask is to replicate skin tones that only an artist can capture. Anna chooses to create a studio in one of the grottos on the estate for the privacy of the project. Catherine volunteers to be her assistant in order to be closer to Julian, whom she sees as her dead husband. Catherine and Julian slowly develop a relationship in the darkness after hours. Anna, never even remotely fond of Catherine, soon dismisses her as she sees this relationship begin. Catherine, however, still seeing her dead husband in Julian, creates a deception that finally brings her to the reality of Julian's lost personhood and her husband's death. As minor characters move in and out, one sees Brownlow, the anesthetist, in the throes of ether addiction. Dr. McLeary's request of him to save the house boy, Artis, from service ends in dreadful completion. A dream is shattered, but a life is saved. The First World War's toll on the men who fought it and the collateral damage to civilians is portrayed brilliantly and lyrically in Ms. Shields's study of this segment of the war that began all wars. Kilted Scots didn't scare the Kaiser's troops! In the final part of my look at wargames containing the First World War, I turn to World of Warcraft (2005-present), the most commercially successful MMORPG (Massively Multiplayer Online Roleplaying Game) to date, with over 7 million players worldwide. One of the strengths of World of Warcraft, is its detailed world view and background narrative. Ironically this may be something that the player never attends to in any detail, but the sheer pervasiveness of the iconography of war, and World War One in particular, is something that runs through the game. World of Warcraft is huge, not only in terms of gameplay, but also in being a virtual space -- a world. It takes time to run, sail or fly to places, and the variety of landscapes within the worlds of Azeroth are huge. Within these are complicated backstories and geographies woven into the fabric of the world. Azeroth, the legends tell us, has been a world at war for some time (in fact, it has been at war since the first game, Warcraft: Orcs and Humans). Blasted landscapes as well as destroyed cities and even an internment camp dot the world. Flying across Horde territory, one crosses above the 'Shrine of the Fallen Warrior', a clear reference to the 'Tomb of the Unknown Warrior'. This is one of the first suggestions that the First World War has more than a passing effect on the game. One of the Warcraft games' chief selling points has always been the ability to play either side. At first this was simply orcs versus humans, but now the available races total eight, split into the two opposing sides 'Alliance' and 'Horde'. More are promised in the next update, including the distinctly Cold War-esque Drenai. The Horde and Alliance races exist in an uneasy truce, sometimes coming together to fight for the survival of their lands, more often clashing in vicious battles. This brings the first trope of the First World War to bear. Blizzard, the game's designers, have been very careful to make sure that players wish to choose Horde races as well as Alliance people. In doing so, they bring in a classic idea from World War One: the idea that the 'enemy' is not so different. On the Alliance side, this is supported by distinctly inept leaders - the humans are ruled by a childe king, but his advisors are so incompetent that they have let one of the enemies of both races, Lady Onyxia, stand in his throne room as an advisor! In the extensive histories written by Blizzard Entertainment about their world, two wars are detailed between man and orc. These are the First Great War, and the Second Great War. NPC (Non Player Character) avatars move around the cities, grumbling about the past war experiences. In Stormwind, Aedis Bron tells his friend 'I tell you, I don't miss the Great War at all. I remember when we fought at Darrowmere. All night in the fog, lying in a muddy trench'. Last, but perhaps most important, is the role of technology in the game. Whilst some characters can use guns and engineering devices, most use more fantastic weapons such as swords, bows and axes. However, strewn about Azeroth are signs that the world has reached more technological advancement. 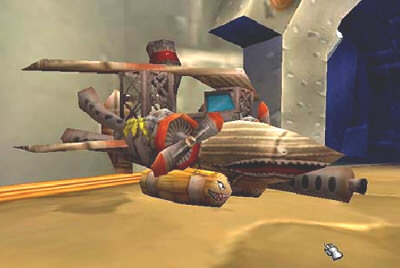 Brightly coloured Zeppelins carry passengers around, and biplanes and clunky tanks lie disused or crashed about the world. However this technology has not been welcomed; it is either abandoned or 'lost' to the player. This signifies quite clearly the perceived upheaval caused by the 1914-19 war - 'the first mechanised war'. World of Warcraft demonstrates one of my favourite themes - that the First World War is often represented through a naturalised series of images. By this, I mean that World War One is endemic to the representation of all wars. 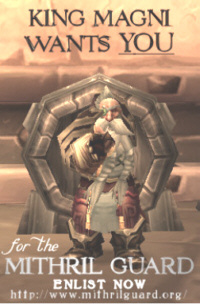 In WoW it represents a turning point - after technology is introduced into a pastoral world, things go downhill, and it also serves to provide the moments of remembrance in the game, be those through players or Non-Player Character actions. At a recent roleplaying event I attended in the game, players read out the names of the 'dead' - players in that guild who had left the game for various reasons. I have also seen military parades and people simply talking to each other, remembering the dead or commenting on the background story in the game. All of these things are based on acts of remembrance that they see and seek to imitate within the game to show respect for both their fellow players and in a broader context, commenting on war in the 'real' world. Consider this month's column a personal reconnaissance report on upcoming DVDs about the times of the Great War. 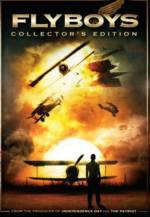 Flyboys was released on January 30th by MGM Home Entertainment. There are 3 different versions out there: a single-disc DVD ($29.98) in both widescreen and full screen format with an audio commentary from director Tony Bill and producer Dean Devlin; a 2-Disc Special Edition ($39.98) which includes 15 minutes of deleted scenes, featurettes on the Lafayette Escadrille, the lion mascots, Whiskey and Soda, the film's special effects, the planes of Flyboys, rides with the Air Force Thunderbirds and the Navy's Blue Angels, a DVD-ROM game and the theatrical trailer. The Blu-Ray DVD in high definition ($39.98) includes additional featurettes and the Flyboys Aerial Guide trivia track. I enjoyed Flyboys for what it was: an old-fashioned aviation action-adventure tale. Some people were put off by its seeming lack of historical accuracy. If you missed it in the theatres this is a good chance to decide for yourself. On February 6th, All Quiet On The Western Front ($14.98) will be released by Universal in their Cinema Classics series. This title was previously back in 2003 with a running time of 130 minutes. It's possible this new release has been remastered with additional footage. It's now listed with a running time of 132 minutes, but the extra 2 minutes may be accounted for by Robert Osborne's introduction. The bonus materials for this new release include the Osborne introduction and the theatrical trailer. The previous release included production notes, cast & filmmaker's bios, and the theatrical trailer. And now for something completely different- on February 20th, Fox Home Entertainment is releasing Voyage To The Bottom Of The Sea: Season Two, Volume Two ($29.98). The second season of this popular television was the first to be broadcast in color. This 3-disc collection includes 13 episodes from the second season. Bonus features include an interview with actor David Hedison (Captain Lee B. Crane) and a photo gallery. This set includes "The Phantom Strikes" and "The Return of the Phantom", 2 episodes that have the nuclear submarine SSRN Seaview menaced by the spirit of a World War One U-boat Captain. The Hemingway Classics Collection ($69.98) comes out on March 6th from Fox Home Video. It includes The Sun Also Rises, A Farewell To Arms, The Snows Of Kilimanjaro, Under My Skin and Hemingway's Adventures Of A Young Man. The 1957 version of A Farewell To Arms has been out on DVD since 2005. The Sun Also Rises features a superb cast: Tyrone Power, Ava Gardner, Mel Ferrer, Errol Flynn and Eddie Albert as the "Lost Generation" a drift in post World War One Europe. On March 27th, Warner Home Video will release Errol Flynn: The Signature Collection Volume 2 ($49.92). The films included are Adventures Of Don Juan, The Charge Of The Light Brigade, The Dawn Patrol, Dive Bomber and Gentleman Jim. The Dawn Patrol ($19.97) will include a Warner Night at the Movies 1938 short subjects gallery of a vintage newsreel, the musical shorts "The Prisoner of Swing" and "Romance Road," a classic cartoon "What Price Porky? ", and trailers of The Dawn Patrol and 1938's Four's A Crowd. James Cagney: The Signature Collection ($49.92) appears on April 24th from Warner Home Video. It includes The Bride Came C.O.D., Captains Of The Clouds, The Fighting 69th, Torrid Zone, and The West Point Story. The Fighting 69th's special features include a Warner Night at the Movies 1940 short subjects gallery of a vintage newsreel, two patriotic shorts "Young America Flies" and "London Can Take It", 2 classic cartoons "Pilgrim Porky" and "The Fighting 69½th", trailers for The Fighting 69th and Brother Orchid, and a radio adaptation with Pat O'Brien, Robert Preston and Ralph Bellamy. Captains Of The Clouds, a Technicolor aviation adventure, is a story of bush pilots joining the Royal Canadian Air Force during World War II and has a cameo appearance by Billy Bishop. The following are thanked for their contributions to this issue of the Trip-Wire: Anne Steele, Tom Gudmestad, Frank Jordan, Pete Guthrie, Doug Mastriano, Donna Cunningham, Sidney Clark, Tony Langley, Christina Holstein, Tony Noyes, Esther MacCallum-Stewart, Andy Melomet, Kimball Worcester, and Len Shurtleff. 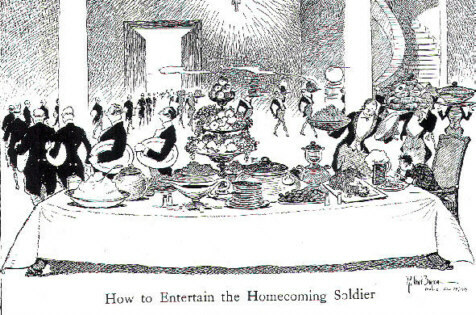 Raeburn Van Buren was the great uncle of WWI author Stephen Harris who has made those wonderful cartoons available. The photo of Montfaucon is from the Library of Congress. The information on Gertrude Bell was found at the Gertrude Bell Project. Until next month, your editor, Mike Hanlon.